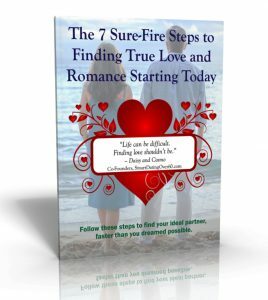 Is addiction holding you back from finding true love? Whether you’re an addict yourself or addicted to people who are addicts, this can be a big problem. Active alcoholics and other drug addicts are not good candidates for serious relationships. Feeding the addiction(s) is an every day necessity, the top priority. They are not capable of giving and receiving love. They use alcohol and/or drugs to mask deep-seated personal issues, which they’re not capable of resolving while they’re actively using. The substance controls and drives every aspect of their lives. 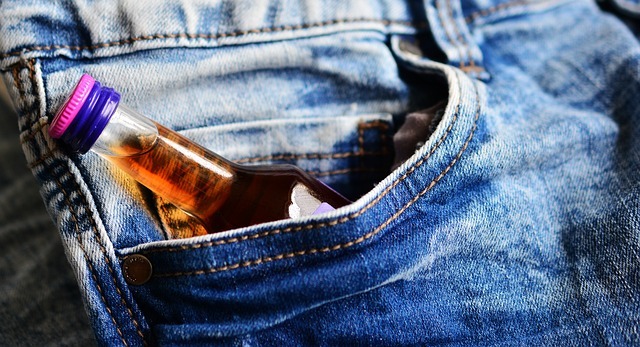 Over the years, you may have questioned whether you have a problem with alcohol or other drugs. How important has it become to your sense of self and the way you live your life? Does doing it make you feel better, more in control? Does not doing it make you feel worse? Do you find yourself doing it more often and for longer periods of time than you originally planned? Do you feel anxious or uncomfortable if you cannot do it or if you just think about not doing it? Has doing it disrupted your life and your relationships? Do you often say to yourself you’re going to do something different but then turn around and keep doing the same thing—or doing it even more? If these signs ring true for you, you need to get a handle on your substance abuse . . . before you even consider diving into the dating pool. Take care of yourself first. If you already know you’re an addict, don’t bring someone into your life and subject them to all the muck that goes with addiction. Clean up first. Make that your top priority. Once you’re sober, most addiction experts advise taking a dating timeout for the first year of recovery. Be careful not to get mixed up with an active alcoholic or drug addict – prescription drugs or otherwise. Some people dismiss the possibility that they could be addicted to prescription medications. We’re all coming to understand these days how pervasive and serious this is. Within the first few dates with people who seem promising, ask them if they’re taking any medications. You have the right to know. And pay attention to the way they act. Alcoholics and other drug addicts present in various ways, depending on how long they’ve been using, and what they’ve been using. Some look and act like the stereotype. They’re pretty easy to spot and stay clear of. Others, who are considered “high-functioning”, may not appear to have a problem. A high-functioning addict may chalk up their drug and alcohol use to being standard behavior in their profession. They may also justify it as a reward for their hard work or career success. Most of us have said “just one drink” and had that one turn into several during a night out. But for the high-functioning addict, this is just a regular occurrence. They simply can’t control their usage. Look at who your loved one socializes with. If their friends routinely binge drink or use illegal substances – or if your loved one doesn’t want to socialize unless drugs and alcohol are involved – it’s likely a sign that there is a bigger underlying issue. A high-functioning addict may chalk up constant headaches or lethargic energy to simple things like “not being a morning person.” But, in truth, he or she could regularly be suffering from hangovers or withdrawal symptoms. If you notice your loved one has suddenly put down their guitar or stopped playing soccer, it could be because his substance abuse is starting to take over his life. I had been sober for more than 5 years when I first started seriously dating. I faced discrimination several times from men who, no doubt, still believed those outdated notions of addiction and recovery . . . that we’re hopelessly stuck with a curse hanging over us. Some men clearly stated in their online dating profiles (sometimes in ALL CAPS) that people in 12-step programs should not reach out to them. Some were concerned that my sobriety would interfere with their drinking. I had a date tell me outright that they were afraid of a relapse, so “no thanks”. My advice. Don’t run away from people who have embraced sobriety for, say, 5 years or more. You may be passing up the perfect partner. Fact is, those who have truly turned their lives around from addiction, and have done the necessary introspective work − whether or not they’re in a 12-step program − are likely to be excellent forever partners. They’ve worked on themselves and have probably gone through therapy to uncover the underlying issues that drove them into addiction. They know who they are and have made enough bad relationship choices in the past, that they are now good at picking the right people. I’m not saying you should rush out and look for people who are in recovery to date. There’s no guarantee they’ll be an ideal partner for you. I do mean that you shouldn’t dismiss people in long-term recovery out of hand. Give it a go with them, and see how things work out.